Dr. Sun Yat-sen is one of the few figures in Chinese history to be equally esteemed by both Chinas. However, despite tremendous sacrifices, Dr. Sun’s vision of a unified democratic China has yet to come to fruition. 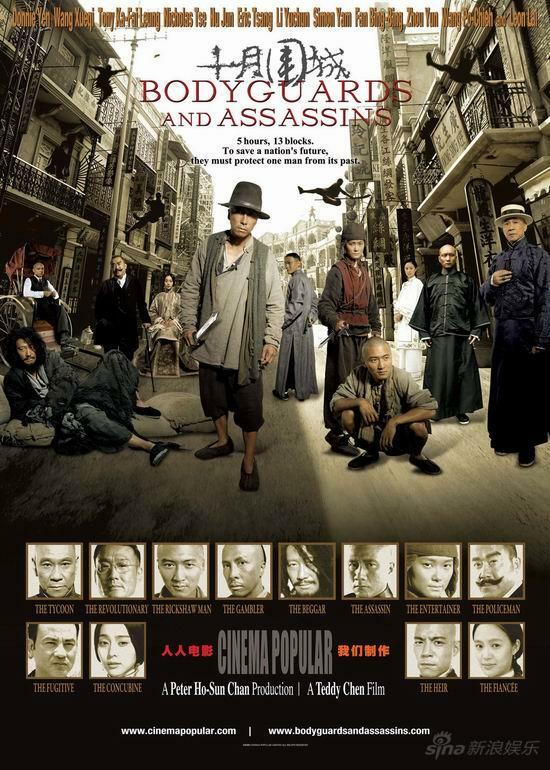 The dream was very much alive and spreading rapidly in 1905, which is why agents of the Dowager Empress will stop at nothing to kill the revolutionary statesman in Teddy Chen’s historical action blockbuster, Bodyguards and Assassins (trailer here), which screens during this year’s New York Asian Film Festival. At tremendous personal risk, Dr. Sun is coming to Hong Kong to coordinate with revolutionary leaders from across China. The trip itself might be fictional, but the assassination of Sun’s colleague Yang Quyun that opens the film is rooted in history. Unfortunately, word of Dr. Sun’s visit has reached the Imperial court. A team of assassins aided by corrupt HK coppers have wiped out the group of exiled soldiers who were to serve as his protection. Faced with a crisis, Dr. Sun’s allies turn to Li Yutang. A prosperous businessman, Li is a sunshine revolutionary, providing financial resources to the cause, but never getting directly involved. However, when he sees the agents of the Dowager running rampant as the police turn a blind eye, Li decides to make a stand. He spearheads the improvised protection campaign, recruiting a rag-tag group of bodyguards. His only condition is that his ardent son be left out of the line of fire. In a way, Bodyguards structurally resembles The Dirty Dozen, showing us the recruitment of the volunteers, bringing them together as a team, and then inevitably watching as they sacrifice themselves to protect Dr. Sun and their hopes for a better China. Yet, that obvious idealism sets Yen’s film apart from most actioners. Indeed, there is an added poignancy to Bodyguards knowing the dream of a free and democratic China that seemed so close at the time would in fact prove so elusive. Regardless of its historical and political backdrop, Bodyguards brings on some spectacular fight scenes. Donnie Yen definitely delivers the goods as Shen Chongyang, a compromised cop who turns against the assassins for his own personal reasons. 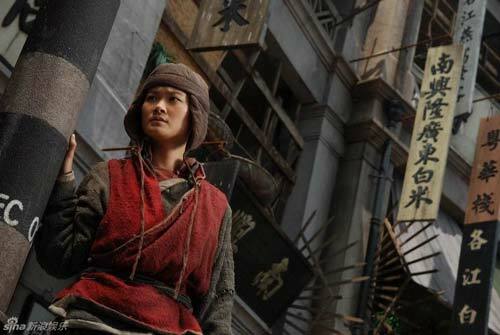 Chinese pop star Li Yuchun also shows a real promise as an action star, kicking it nicely as Fang Hong, the daughter of the murdered general in hiding, Fang Tian. However, it is Liu Yubai, the mysterious beggar holding off the murderous hordes with his iron fan, that elevates Bodyguards to a John Woo level of operatic mayhem. Bodyguards is the sort of film NYAFF programs best. It delivers high octane action in a grandly epic package, with plenty of serious historic subtext for us Mr. Smartypants reviewers to write about. Tragic in a satisfying way, Bodyguards is a thoroughly entertaining film. It screens Sunday (6/27) as part of a double bill with Development Hell introduced by NYAFF guest Simon Yam, and again as a single feature on Tuesday (6/29) at the Walter Reade Theater. Ozu’s I Was Born But . . .